It is a beautiful Autumn day here in the Studio today! I wanted to show you the art that is on the table being finished! 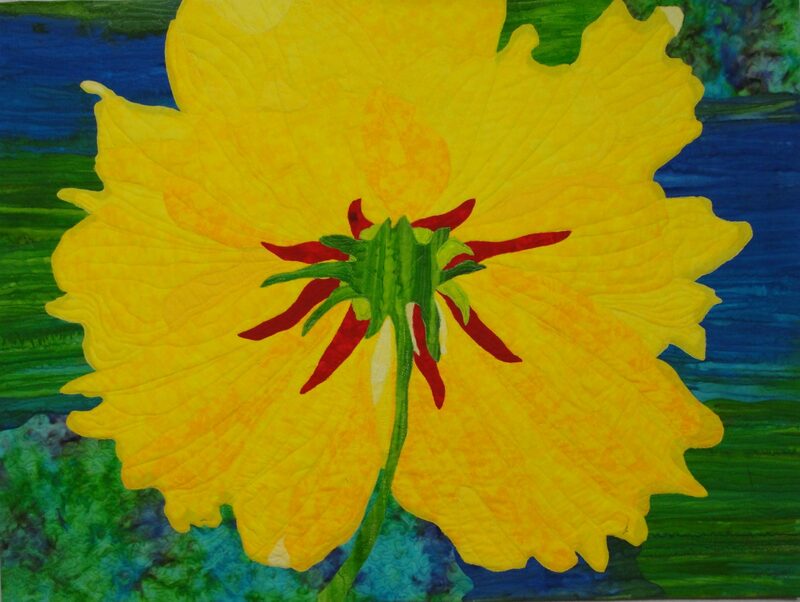 A few years ago, I had an exhibit of many of my art quilts for the local ArtWalk in our town. 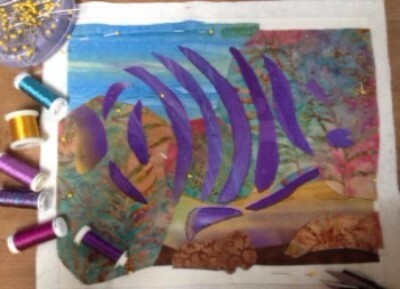 In deciding which pieces to exhibit, I almost did not include a small stylized image of a fish, called Fractured Fish #1…but at the last minute, decided to add it to the group. To my surprise. 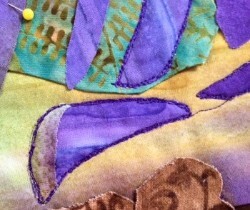 when delivering the art for the exhibit, the host exclaimed over that particular small art quilt! 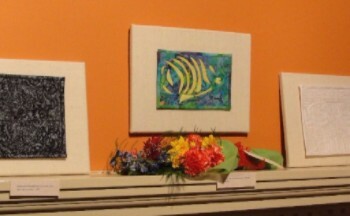 At the exhibit, a few friends viewed the small art quilts displayed over the fireplace mantle and said Fractured Fish was their favorite…Then, a family member, when seeing photos of the exhibit, phoned me to say they wanted that piece! Something about the colors and subject matter made this a favorite! The pattern is similar, but is in a different colorway of cool toned, bright purple batik on a background of mixed, warmer browns and yellows with blues, turquoise and a touch of rosy pink. Part of the uniqueness of Textile Art! Enjoy the colorful Fall leaves!!! !